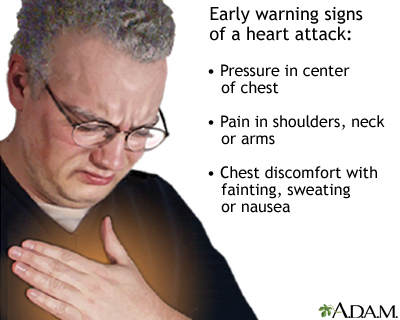 Symptoms of a heart attack may widely vary, from the classic "elephant on the chest" feeling of crushing pain, to the nausea and heartburn mistaken for indigestion. Atypical symptoms often occur in women. In some patients, the only symptoms may be sudden fatigue or an oppressive feeling of impending doom.